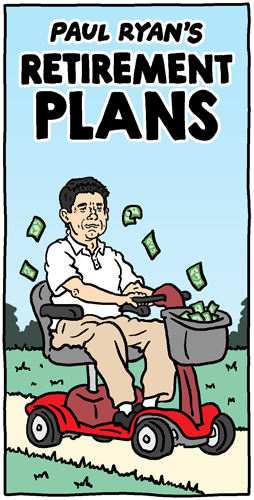 Having gutted the safety net and transferred trillions to the wealthy, Paul Ryan won’t seek reelection in order to spend more time with his donors. It was weird digging back into my archives to remember how to draw Boehner, and seeing how orange I made him. How naive I was to think he’d be the orangest politician in my palette.